Lynette Eason’s Without Warning is the second book in a series and released a few weeks ago. Joel Roseberg’s Without Warning is coming in March, 2017. So why or how did I discover the forthcoming Joel Rosenberg release? Because they were using the same hashtag on Twitter at the same time this week. Does nobody check these things? Where are the social media savvy types who are supposed to know what they’re doing? 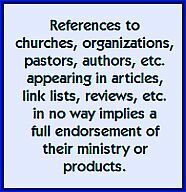 Let us know if you spot any Christian publishing or music sources of confusion. Tomorrow, this blog is one of the stops on a blog tour promoting W. P. Campbell’s book, Turning Controversy Into Ministry, a study of the church’s response to homosexuality. I’ll be reviewing chapter ten, a pivotal chapter that kicks off the practical part of the book, Section III. The video to watch this week is the young Lutheran boy who really gets down to preachin’ it in Jesus in Every Book of the Bible. Top blog post this week — but it will take you a few minutes — is Darlene Parsons’ excellent analogy concerning cilantro and legalism. Well written with a sharp taste just like the herb in question. Don’t miss this. At Q-Blog, Andy Couch brings a list of the top ten cultural trends of the last decade includes a few that may surprise. Apparently signs at church exits stating, “You Are Now Entering the Mission Field” are more widespread than I realized. And in a somewhat related post, Shaun Groves gets ready to record his first studio album in five years, and carefully notes the way the Christian music industry has changed. I’ve heard this story presented as a sermon illustration, but didn’t know there was actual video available. It should be called ‘Don’t Sleep in the Subway,’ because over a thousand people were asleep at the switch. Watch for a few minutes before reading the full story. Zac Hicks thinks that worship leaders have a major obligation to present orthodox theology. 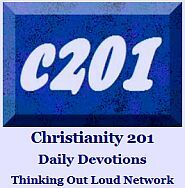 “A great place to start is by studying the attributes of God, and particularly His incommunicable attributes (those characteristics of God which he does not share with humanity).” Read more and bookmark this site if you are responsible for weekend worship in your community. Ron Edmondson’s 10-year-old son figures when we get to heaven, they’ll have “one contemporary service and one traditional.” Ron’s not so sure. Think before you answer this one: Did Jesus ever get the flu? You might be surprised at Russell D. Moore’s answer. Here we go again: A Canadian Senator wants to criminalize spanking children. Be sure to read the anecdote that Michael Coren relays before you think this isn’t a major issue. Are dead birds falling from the sky a sign of the end times? Former Left Behind movie actor Kirk Cameron thinks a reporter would do better to call a veterinarian. True, Steve Saint is the son of South American missionary martyr Nate Saint; but also has an identity that’s all his own that springs from his own response to events that January day in 1956. Such as working for Mission Aviation Fellowship. Including going back to the same tribe that killed his father. Lately, he’s been busy building a flying car. Yes, you read that right. 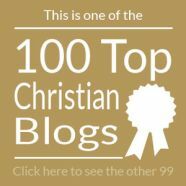 If you enjoyed yesterday’s top Christian books chart here yesterday, you’ll really enjoy the U.S. Top 100 Christian Books for 2010 posted at Michael Hyatt’s blog. The Toronto Star profiles Aiden Enns and his unusual Christian magazine, Geez, a faith magazine for the unchurched. (Geez is the name that won out over Cripes. Seriously.) Enns got the idea for the magazine while working for Adbusters. Here’s a video link to a great Sonicflood song from a couple of years back: Psalm 91. Most comments indicated that this editorial on all things Crystal Cathedral was a miss more than a hit.